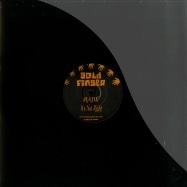 italian-producer xxxv gold fingers, a.k.a. 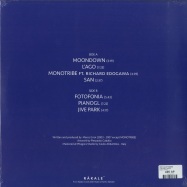 marco erroi, landing his release on rakale, the italian label running by dodi palese. owner of the common series project/label, marco has delivered 9 tracks recorded between 2003 and 2007 that we fell in love with at first listen. 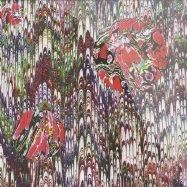 the fact that they were created more than 10 years ago confirms the futuristic vision of this talented artist that we have been following since his first steps. for this project we have also involved the italian illustrator pierpaolo gaballo who has been entrusted with the cover of this album, just to offer a good product for the ears but also for the eyes. get ready to travel in the marcos world, have a good listen! nigerian disco-funk from 1979 back on vinyl. 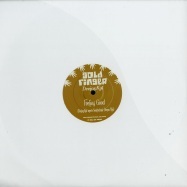 dan mela & dodi paleses what ever not reach release number 6 presenting here the super talented marco erroi aka goldfinger (also co-founder of common series). 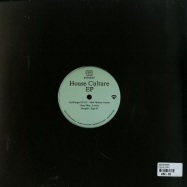 an ep going from the electronic deep influences of the m.t.s to the detroit raw sound of housemate. 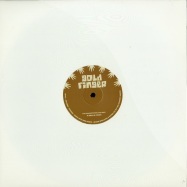 gold fingers is on roll! 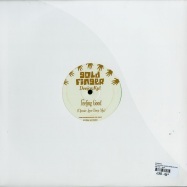 not long ago deejaykul brought the deep and jazzy house element to gold fingers. now it is time for hade to continue on the house route but take things even deeper. 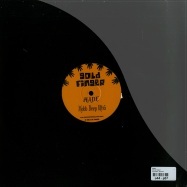 its not right needs very little introducing, you will be signing the lyrics straight away, it is a classic sounding as fresh and relevant in this hade version. on the flip, mobb deep ultra is all bouncing basslines and 4/4 house in perfect harmony. attention - bad quality / distorted sounds (especially a1) - check soundfiles! deep house bomb alert! 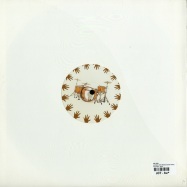 deejaykul delivers two amazing reworks of an old classic, both versions on this 12 inch are a refreshing change of pace that reach a bit deeper than previous releases on gold fingers. trust us though, house doesnt get better than this. that is all we are going to say. now go ahead and have a listen! 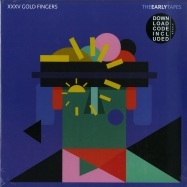 gold fingers = basic fingers gone gold. it is finally here, one of the most talked about and sought after reworks in recent time! 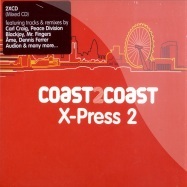 kons stunning remix of cerrones >hooked on you<. 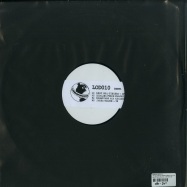 originally released back in 1981 and featuring jocelyn brown on vocals this updated version has been given the royal treatment by kon and is now finally out as a limited 12 inch. gold fingers = basic fingers gone gold. it is finally here, one of the most talked about and sought after reworks in recent time! kons stunning remix of cerrones >hooked on you<. 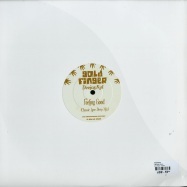 originally released back in 1981 and featuring jocelyn brown on vocals this updated version has been given the royal treatment by kon and is now finally out as a limited. 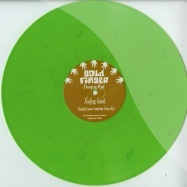 300 copies, marbled vinyl - one-sided 12 inch. 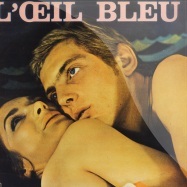 highly anticipated first time re-issue of the super rare soundtrack of swiss film >l oeil bleu<. 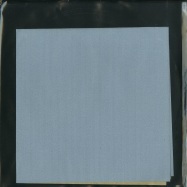 originally released in 1968 by soundel records and pressed at only 300 copies. 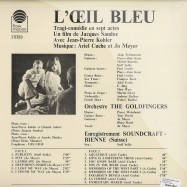 >l oeil bleu< delivers a mix of psychelic pop, acid folk and jazz groove. it also includes a few monster break beats. the soundtrack is now re-issued on flow motion, a new swiss label specialized in highly collectible swiss records from the late 60s and early 70s. 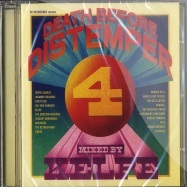 a must have for all break beat collectors and psychedelic soundtrack lovers. limited to 700 and selling fast! 180g virgin vinyl, original cover artwork, includes insert with replica of the original poster on the front and liner notes by film director jacques sandoz in french and english. 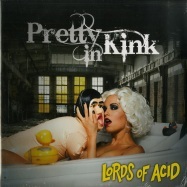 lords of acid returns with pretty in kink. 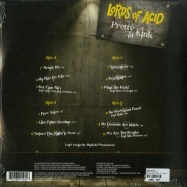 the new album features all the best of lords of acid, the raw techno-carnality of the debut lust, to the experiments & electro-thrash later albums like voodoo-u & farstucker. on pretty in kink, stunning new singer marieke bresseleers, the legendary lords mastermind praga khan & longtime collaborator erhan kurkun create an electro-industrial-techno classic! the 2nd solo album from wu-tang clan member gza aka the genius, originally released in 1995. one red, one blue vinyl. 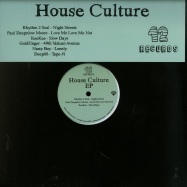 6 house tracks. house for real. holy grail alert!! 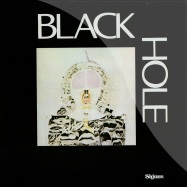 possibly the most sought after cosmic disco lp in the galaxy!!! 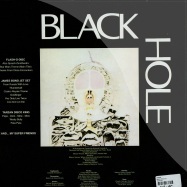 black hole was a brazil only release with four superlong tracks, themed around heroes and movies. the 4 super killer tracks are bursting with dope space sirens, arpeggio synths and spaced out sound effects. all thrillers, no fillers, here is a chance to get the epic i feel love styled me and my superfriends track so sought after by collectors. ultra limited press, sleep and weep!!! 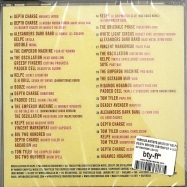 evil madness has been described as the traveling wilburys of icelandic electronic music. behind the name stand men like petur eyvindsson, johann johannsson, sigtryggur berg sigmarsson, helgi thorsson and bj nilsen (who is not quite icelandic but was born in a country very near iceland). this album, >super great love<, presented by editions mego will be their 4th album since the time their formation in 2006. now for those of you reading who know the music of evil madness will know for sure that this band does what ever they damn well pleases when it comes to making the music. with >super great love< they want to get people in the good mood for the fresh new year and present them with some upbeat icelandic disko tunes. 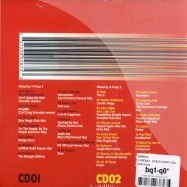 this mix precedes kelpes brand new studio album >cambio weschel<, which will be released in october 2009! The Emperor Machine - Monkey Overbite; No Sale No I.D. 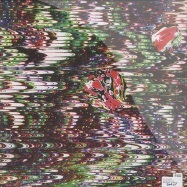 (Simian Mobile Disco version); The Oscillation - Head Hang Low (Kelpe version)"